AN AMBITIOUS new political movement aimed at turning the islands into a British overseas territory held its official launch – attended by more than 60 people – at Lerwick Town Hall on Wednesday evening. 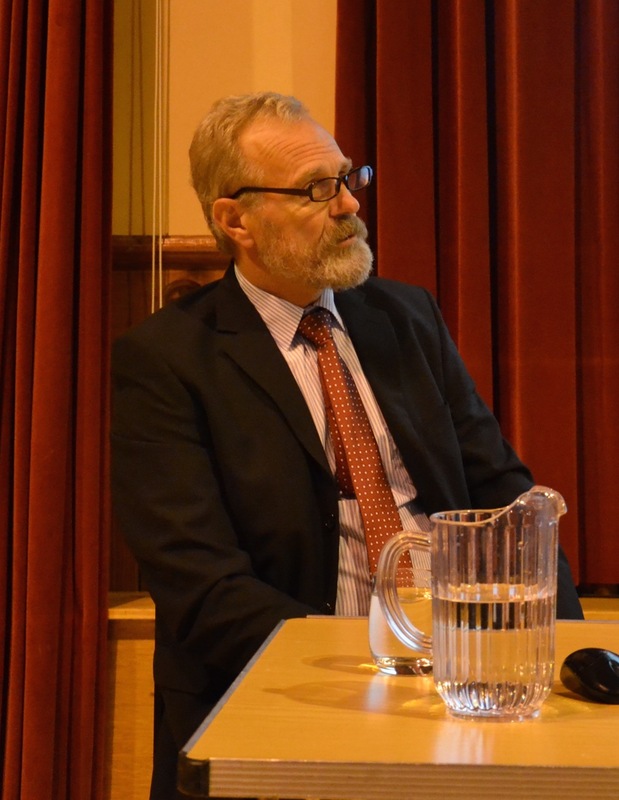 The inaugural meeting of Wir Shetland, which has over 70 members and the backing of three SIC councillors, was fronted by expat Shetlander and retired engineer John Tulloch. He gave a presentation outlining his conviction that an autonomous Shetland – enjoying a similar model of self-governance to the Falkland Islands – would, at a “conservative” estimate, be at least £172 million a year better off. Tulloch was introduced by Shetland North councillor Andrea Manson, who has been joined by Lerwick member Amanda Westlake and North Isles councillor Robert Henderson in pledging her support. He described it as a “fantastic turnout” which included people who had travelled down from Yell and Whalsay for the evening. He said the timing was right for Wir Shetland amid a state of constitutional flux – with the UK set for a referendum on EU membership in the next 18 months, along with the possibility of a second Scottish independence referendum. The movement will initially approach local politicians and prospective candidates to see if they can work together, but if not it may register as a political party and field its own candidate for Holyrood next year. The cross-party group says it is neither nationalist nor anti-SNP but wants to fight back against “centralisation” of powers and services to Holyrood. Tulloch set out how he feels Shetland is being let down by governance from Brussels, London and Edinburgh and being left financially out of pocket. The isles’ GDP was an estimated £1.1 billion in 2010, the last year for which figures are available, and its balance of trade was £131 million. But the amount of government revenue flowing back in is leaving Shetland short-changed, Tulloch said, and in order to protect the islands’ education system and prevent the “rotten idea” of shutting schools, full local control must be sought. By staking a claim to a 200-mile exclusive economic zone, he said the tax take from oil companies and workers in the North Sea and control over fishing would help Shetland to enjoy a huge surplus. “With freedom to make your own decisions, life is going to improve dramatically,” he told those gathered in the town hall. Shutting schools in depopulated areas should be a “last resort”, and with fast broadband, decent roads and fixed links, there is “no reason communities can’t thrive”. Tulloch acknowledged his figures were fairly “crude” estimates, but said the £172 million figure had been very cautious because “we don’t want folk to say we’re claiming something that won’t materialise”. SIC councillor Allison Duncan attended the meeting and said he was “very sceptical”. He asked what would happen to crofters’ and farmers’ European agricultural subsidies if Shetland found itself outside of the EU. Tulloch replied that the islands could “easily afford” to maintain present subsidy levels, and he could see no reason why a Shetland-based government would wish to stop supporting the agriculture industry. 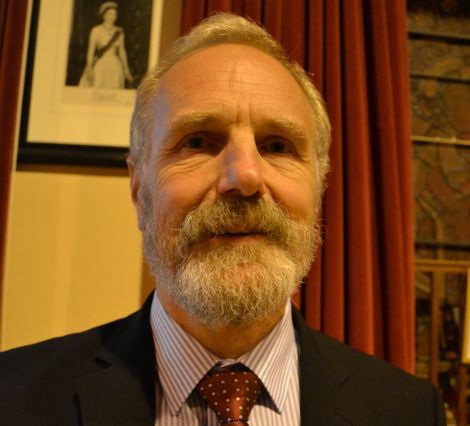 While his own outspoken opposition to the project is no secret, Tulloch said Wir Shetland’s chief policy in relation to the Viking Energy wind farm would be to seek a local referendum determining whether it should go ahead. He felt that, with Sustainable Shetland – which lays claim to 800 members – having the “same type of mindset we’re appealing to”, building up an initial membership of 1,000 for Wir Shetland was a realistic target. Tulloch said that would be comparable to the level of support enjoyed by the Shetland Movement in the late 1980s, before interest petered out and it shut down over a decade ago. He dismissed the three-way Our Islands Our Future initiative between Shetland, Orkney and the Western Isles to seek a limited range of powers as a “please sir, can we have some more” approach. Tulloch said that by launching a consultation involving all of Scotland’s islands, the SNP government was “kicking the can down the road” until after the next Holyrood election. While three councillors have pledged their support, it is fair to say the Wir Shetland initiative has taken root well outwith the islands’ mainstream political establishment. Among those present were several regular contributors to local media letters pages, including Shetland independence campaigner Stuart Hill. He has devoted much time and energy to disputing the UK and Scotland’s jurisdiction over these parts. Tulloch said that Wir Shetland’s approach would be to speak to the two governments first and see what their response is – with the legalities to be chewed over at a later stage. Kathy Greaves said the islands were already virtually treated like a British overseas territory when it came to things like parcel shipping, but with full autonomy Shetland would become “much stronger and much better”. Tulloch said an “if it ain’t broke, don’t fix it’” approach would most likely see Shetland buying in police officers and health services from Scotland. But they would “have to have local accountability”, headed by an isles-based politician. Councillor Manson said there could be a central hub for emergency services within Shetland, putting an end to the days of phoning up and speaking to someone from Wick or Inverness. Councillor Duncan was dubious about what could be achieved – pointing out it had taken 40-odd years to get anywhere in tackling the historic housing debt owed by Westminster to Shetland for building hundreds of homes to help get the North Sea oil industry up and running back in the 1970s. Most who spoke during the meeting were vocally supportive of Tulloch’s endeavours, though one of those present said afterwards that it was a “lovely idea” that would never reach fruition. Asked by supporters how the group could generate wider community backing, Tulloch said winning over a majority of SIC members and getting parliamentarians onside would be important steps in giving it cause to seek a referendum on full autonomy.